Monopoly Once Around Deluxe is a popular online slot machine game ever to be developed by WMS Gaming, and it is considered by many to be a flagship game of the company for its overwhelming features. The game focuses on the online slot machine version of the popular monopoly game with wonderful background visualizations and catchy theme music in the background. The game contains 15 paylines and 5 reels and possesses a healthy RTP of 92.03%. These are justified by some of the best online jackpot features of the game, which comes to play handy and allows the players to score big. The game is available for free in various online casinos and alternatively can be played for real money in many UK and USA based online casinos. The game comes up with 5 reels and 3 rows backed up with 15 winning payout lines to play in each of the lines per spin. The player has the liberty to choose the minimum coin size value to be 0.01 and the maximum coin value can be extended to 2 coins. The minimum bet per line is 0.15 coins and the maximum bet can be extended to a whopping 30 coins. The symbols of the game play a huge part in resulting higher payouts. These symbols are split into three specific zones where Sliver boot, car and dog are termed to be the high value symbols. The ring, railroad and free parking are termed to be as the medium valued symbols and the utility and electric companies are termed as the low valued symbols. On hitting a combination of 5 of high valued symbol, players stand a chance to win anywhere from 500 to 700 coins in a go. The Wild symbol of the game is none other than the Rich Uncle Pennybags or the old man in the hat. On hitting 5 wilds in a single pay line will result in a prize of a whopping 30000 coins in a single payout. This is a huge payout considering how modest the wager lines work in the game. The Scatters in the game is the Community Chest and Chance. These symbols work out in acting as a multiplier in this online slot machine game and can multiply a massive 3000X of the total wager. The Bonus symbol of the game contains the picture of Rich Uncle Pennybags holding a dice, a symbol when hit thrice in a payline, activates the jackpot feature of the game. 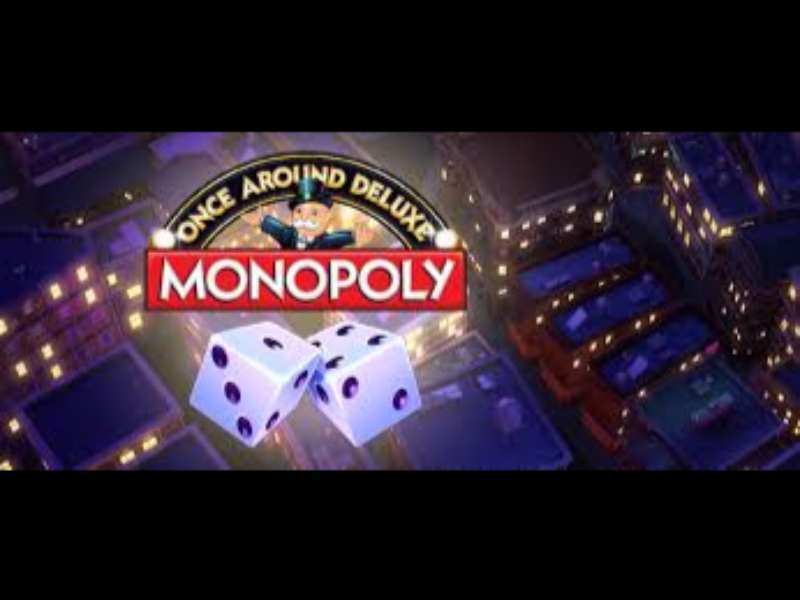 The Once around Deluxe bonus feature consist of playing a real life monopoly game and the player needs to roll the dice and wait for the fortune to play. The common game features such as Jail, Income Tax, Wealth Tax and Just Visiting gives out or even takes some money from the players. On hitting the scatters, the players stand a chance to increase a bonus of 100X in the bonus game mode. On hitting the Go Square feature twice will not generate payouts in the play board. Although this does good on ensuring to unlock twice around feature, which will ensure to take a board round for the next round and the wins will eventually be multiplied twice. Monopoly Once around Deluxe online is an interesting online slot machine game, which primarily focuses on a real life board game of monopoly. The game developers primarily have adapted the real time monopoly and transformed it into an online casino game, with more or less the same feature but more and more winning chances. WMS Gaming have assured in bringing up a wonderful land based slot to the world of online game, which now has won innumerable accolades for being WMS’s one of the flagship games. The game theme and background focuses on the layout of dark city background backed up with 15 paylines and 5 reels and 3 rows and the bright symbols colors speaks up loud for the game. The in game features of the slots such as Wilds, scatters and Block bonus givesa player a reason to play the game. The game can be played in various online casinos for real money. Alternatively, a person can play free Monopoly Once around Deluxe casino slot machine without having to register. 0 responses to "Monopoly Once Around Deluxe Slot"